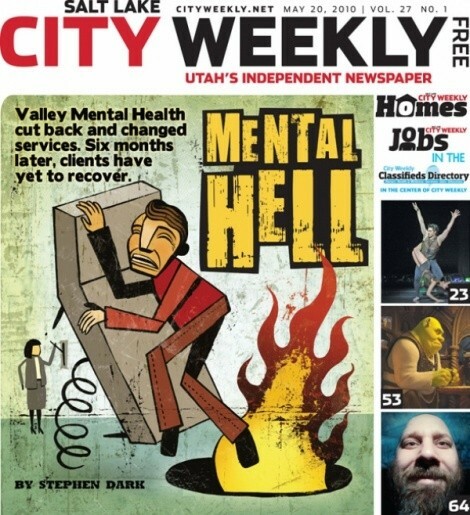 When Stephen Dark investigated Utah’s largest mental-health provider, Valley Mental Health [see “Mental Hell,” May 20, City Weekly], upset employees, clients and others descended on our online comments section to vent anger about bureaucratic boondoggles and corporate greed at organization. One of Valley’s few defenders, Eleisha, urged comments to consider how Valley’s consumers digest the rancor that Dark exposed. “Bottom line, support the clients of VMH and stop trashing the employer you work for, because it’s really not benefiting the problem,” Eleisha wrote. Perhaps the most often repeated comment was that Dark’s story “only touches the tip of the iceberg,” as An Insider wrote, but as the story was already at about 3,500 words, the rest will have to be for another day. One thing is clear: Many employees have lost faith with Valley. A response to the story by VMH’s CEO that was e-mailed to employees was leaked on the comment board.